I’d like to celebrate this month by “sharing the love” with an art book giveaway! (Who doesn’t LOVE something FREE?!) Simply leave a comment on this blog post, and you will be automatically entered to win one of two brand new copies of the book pictured above entitled, “M.C. 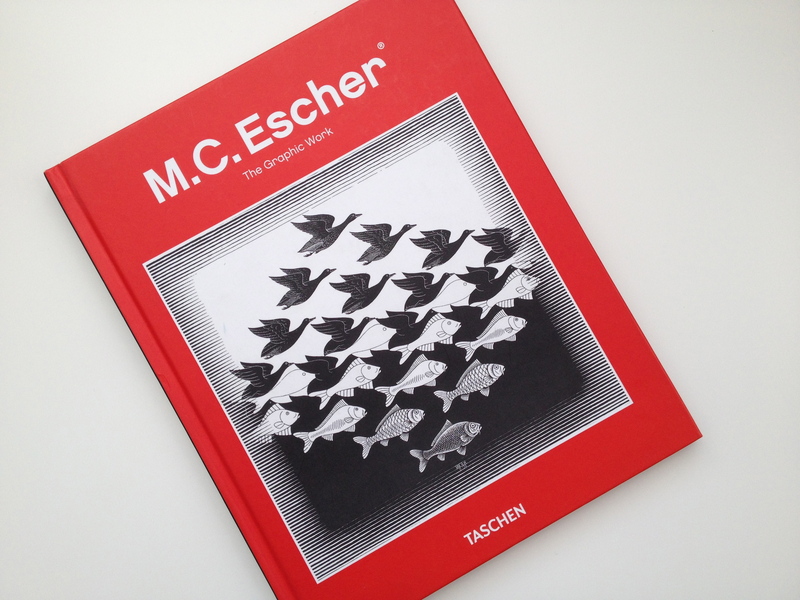 Escher The Graphic Work”. 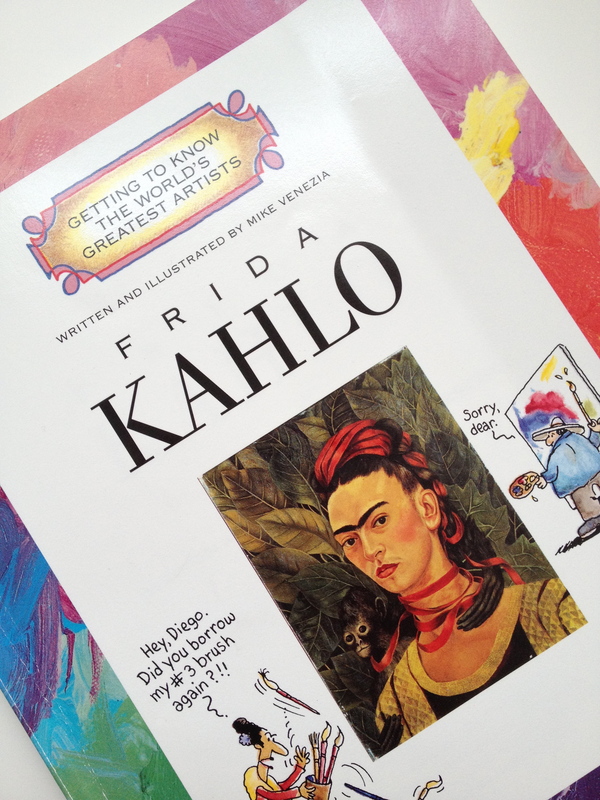 This book would make a terrific addition to any art library. 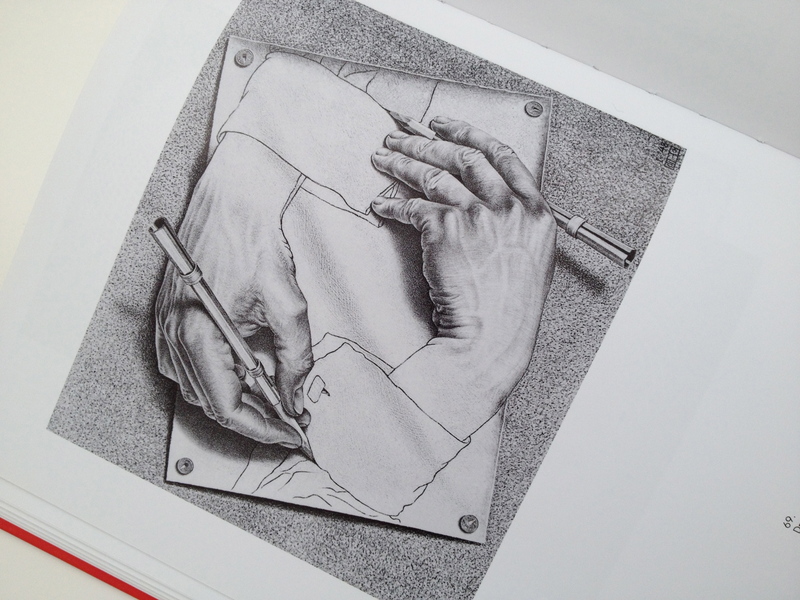 Your students will be intrigued not only by Escher’s incredible imagination, but also by his impressive skill. 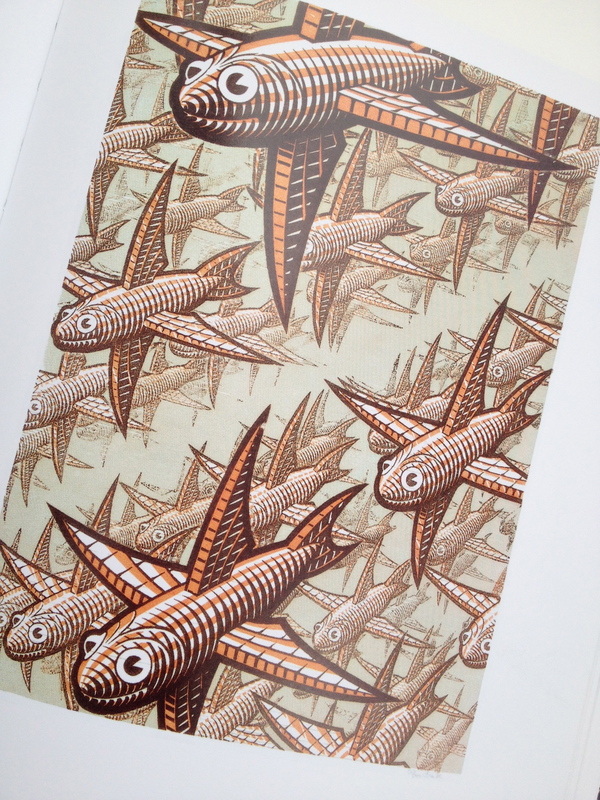 Here are just a few images you will find in this wonderfully illustrated book. Thanks for stopping by, and good luck in the drawing for the books! I’ve only got one more kit like this to give away, so click here to find out how easy it is to be included in the drawing scheduled for April 1, 2014. So resolve to bring some EASY art lessons into your classroom this year — no muss, no fuss! Let me show you how fun and powerful art can be. 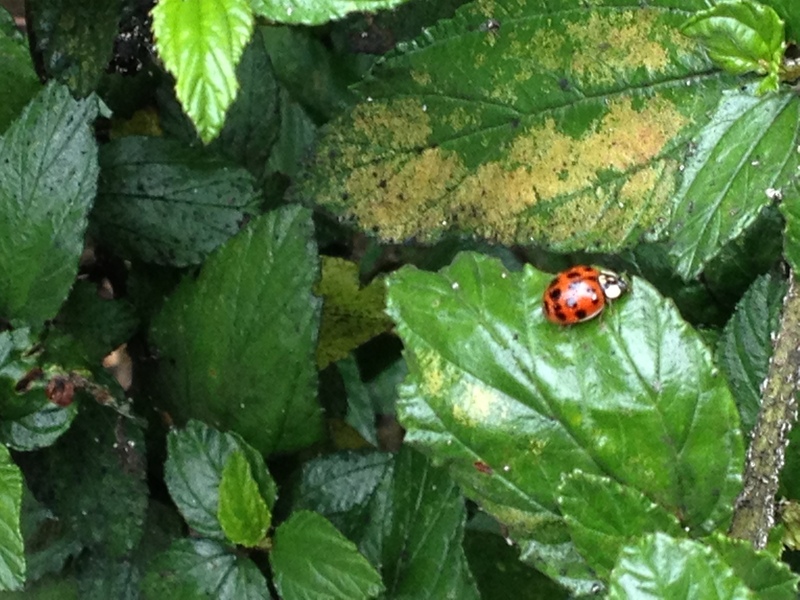 Hello October! In addition to being excited about this new month which brings such lovely fall weather… I’m also very excited to announce my second Art Kit winner! Each Art Kit is loaded with terrific art supplies, and a lesson plan ready for use in your classroom or homeschool setting. Click here to learn more about this fabulous kit, and to find out how easy it is to be entered into the drawings to win one. I hope your month is off to a great start! 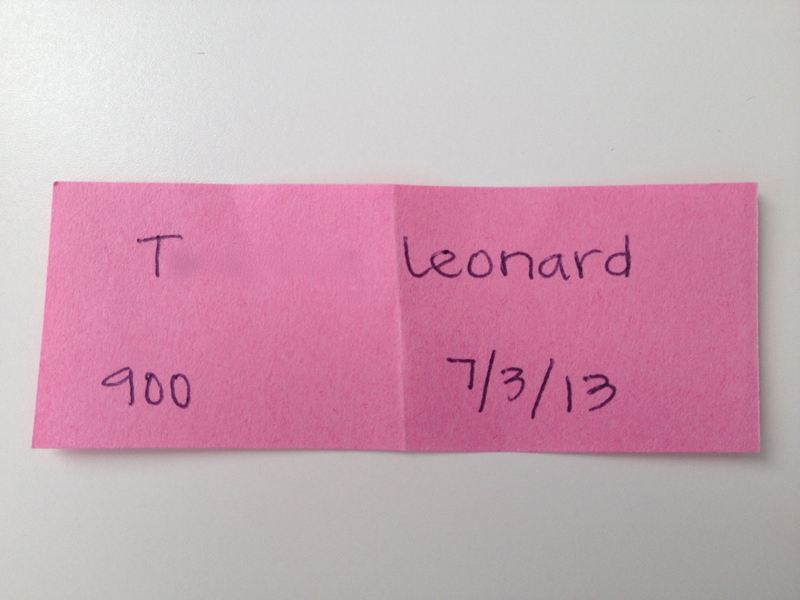 I know T. Leonard’s is… she can look forward to receiving her Art Kit full of goodies very soon! Now that the 4th of July holiday is behind us, it feels like summer is really in full swing. If you’re a teacher, and I suspect many of you reading this are, how are your plans going so far? Did you tell yourself that this would be the summer break for some professional development, but you still haven’t done anything about it yet? Have I got some great news for you! My distance learning, professional development art classes are affordable, convenient and self-paced. And you can register any time — like right now! Here! — and work like crazy to finish within the 3 week minimum, or take up to one full, leisurely year to complete your work. Visit my page on Fresno Pacific University’s site to read all about the art classes I offer, and to see what your fellow teachers have had to say about them — and me! No art experience is necessary — or required — for any of my classes, so picture yourself having fun, making art in your pjs or your swimsuit, all while earning some professional development credits from the comfort of your own home. (Sounds good, doesn’t it?!) Since every experience in every class I teach is immediately ready for use in your classroom, you’ll also be armed with some outstanding lessons to share with your students come fall. If all that isn’t enticing enough, right now, each course of mine that you register for will earn you SIX entries into an “Art Kit” giveaway I’m running this year. This kit is valued at more than $100, plus includes a lesson plan that uses all of the supplies in your kit. You can read all about it here. I hope to see you in class soon! Congratulations to Ann G. of Sterling Heights, MI! Ann is the winner of the first of four fabulous Art Kits I’m giving away over the course of a year. Her registration in my class ART 902: The Magic of Paper in April provided her with the winning entry “ticket”. Hope to see you in class this summer! 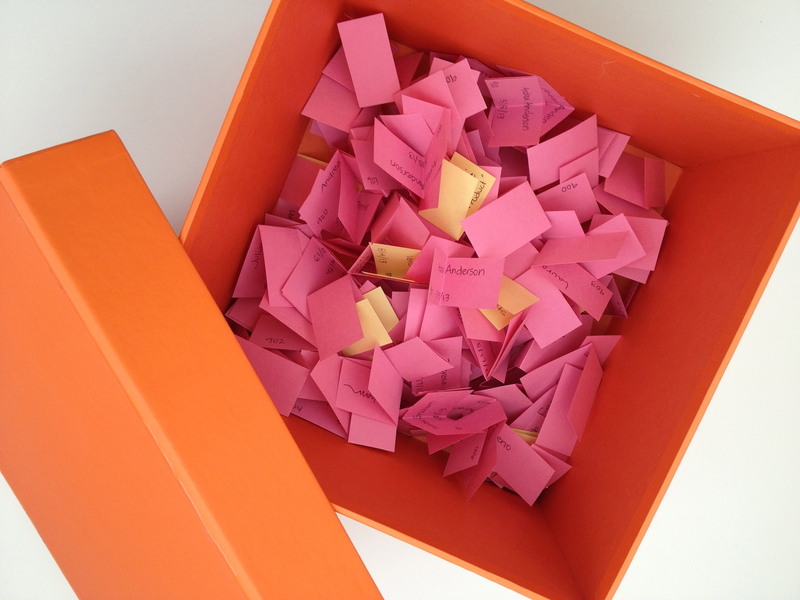 In less than one month — on July 1st, 2013 — I will draw a name from this box to find out who gets the first of four fabulous art kits that I’m giving away over the course of a year. Is your name already in here? Will YOU be the lucky winner? Click here to read more about this terrific giveaway valued at more than $100, and learn how easy it is to be entered to win. Hint: Registering for one of my Professional Development art courses offered through Fresno Pacific University will get your name entered into this drawing 6 times! Summer is a great time to earn some affordable PD credits from the comfort of your own home. Learn more here. I’m so excited to introduce something brand new on my blog! I’m calling them “Art Kits”, and it’s super easy to be entered into a drawing to win one. Each Art Kit is valued at over $100.00, and includes everything you see in the photo above, as well as an easy to follow, step-by-step lesson plan and 50 sheets of white drawing paper — And it can be YOURS for FREE! Students of all ages will love looking through their magnifying glasses to see a detailed view of any one of the interesting shells included. The lesson plan will walk you through an easy to present lesson that will encourage your students to carefully observe a shell and then create an original drawing of what they see. Soft lead pencils and special erasers will help them get their drawings “just right”. They will be thrilled to then add color with chalk using the ordinary blending tools of cotton balls and Q-tips! In addition to the excitement of creating art, you’ll see lots of valuable curriculum connection possibilities for your students in science, math, and language arts. 1) Register for one or more of the affordable, convenient, self-paced Professional Development Art Classes that I teach through Fresno Pacific University here. 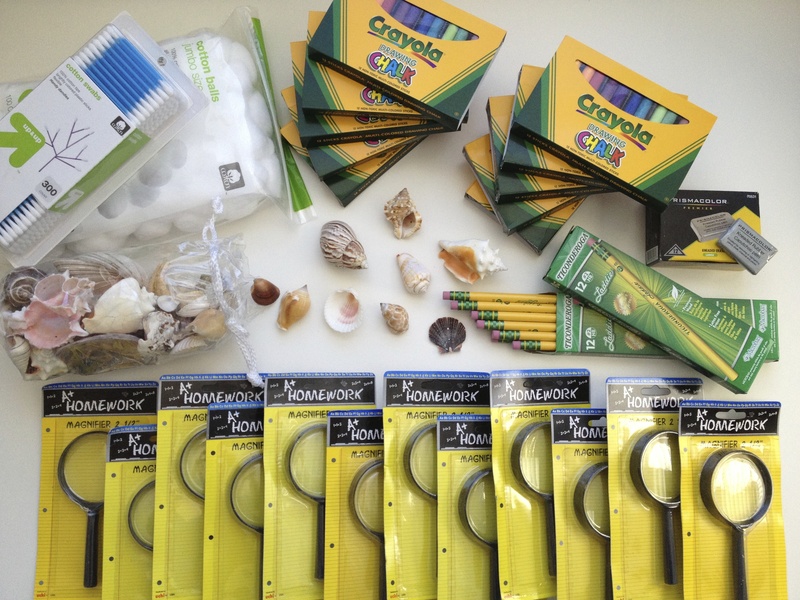 Each registration will earn you 6 Entries into the Art Kit drawing. As you can see above, I’m breaking the year into quarters with April-May-June being the first block of time for the first Art Kit drawing. So for example, all course registrations received, colleagues referred & registered, and comments made from April 1, 2013 until June 30, 2013 will be included, and I will draw the winning name on July 1, 2013. Then the process begins again for July-August-September and so on, until the fourth and final Art Kit winner is drawn on April 1, 2014. So what are you waiting for? Head on over to Fresno Pacific University and register for one of my art classes! Then get a friend or colleague to do the same! While you’re on a roll, comment on any of my blog posts or head on over to my Facebook page and get typing! You can’t win one of these great kits if you don’t enter… so get going and get excited! In my last post, I talked about the importance of having images available to your students for use as visual references when having the real thing in front of them just isn’t possible or practical. 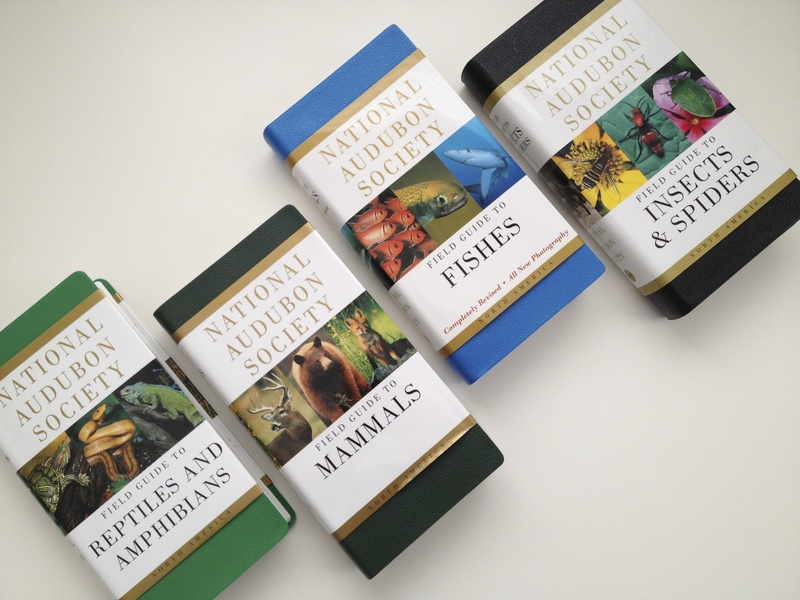 Today I’d like to help four lucky people get started on the creation of their own image files by giving away some beautiful National Audubon Society field guide books. (These books are brand new and cost about $20 each.) Each of these books is full of gorgeous, full color photographs that will make excellent reference images for any artist. Each book is focused on a different subject group — one for reptiles & amphibians, one for mammals, another entitled fishes, and finally one for insects & spiders. The pages measure about 3.5 X 7.5 inches, so if you tear them out as I suggested in my blog post, they will fit neatly into a file folder for easy retrieval and distribution later. And teachers… don’t forget that spring break will be here before you know it. Plan your professional development now by checking out my affordable and convenient art courses offered through Fresno Pacific University. Registration is always open for these distance learning courses — you can view all of my course listings here. No art experience? No Problem! My courses were written specifically with YOU in mind! Imagine yourself completing the units you need on your schedule, from the comfort of your own home. I’d love to see you in class! Today’s post is about a really great series of art books that I think would make an excellent addition to any classroom library. These little books, “Getting To Know The World’s Greatest Artists”, are written and illustrated by Mike Venezia. Apart from their availability (Amazon.com) and their great price ($6.95), each of these terrific little books presents a succinct focus on one artist in an informal, engaging, and highly informative way. Whether teaching first grade or high school, I always kept a variety of these books in my classroom’s library. When I taught first grade I read these books to my students, and they loved hearing them over and over again. When “reading” on their own, my young students would consistently select these books to enjoy by themselves or with a reading buddy. My high school students perused these same books, and I believe they enjoyed and appreciated learning about the famous artists in a more “relaxed” way than they might otherwise have through a typical art history textbook. One look through these books will win you over to Mr. Venezia’s engaging, conversational style. He makes the artists seem like people who might have lived in your town and perhaps even been a neighbor. Through words and pictures, he brings each artist to life by revealing them to be real people we all can relate to. People who accomplished great things — yes, but people who struggled and suffered through hardships as well. Reading these books is so engaging and is so much fun, kids of all ages might not realize how much they are actually learning! 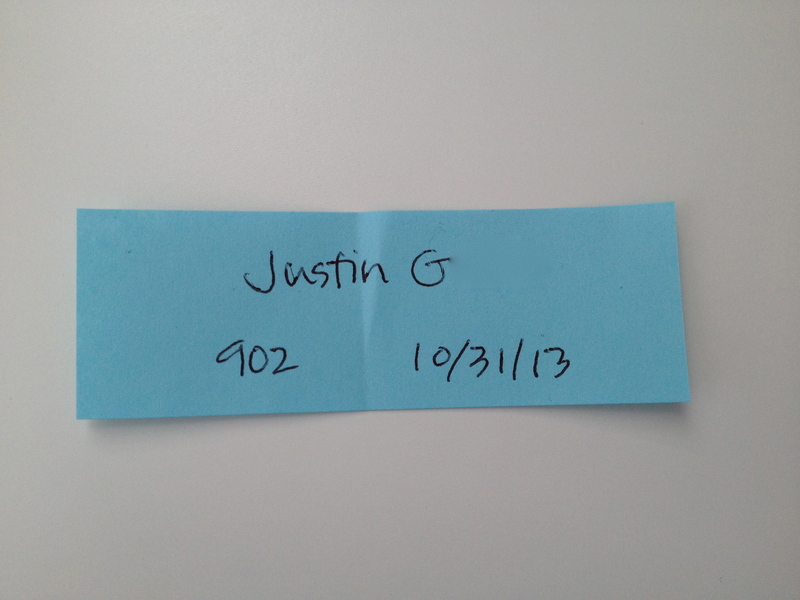 Giveaway Update: As of 11/14/12, I still have 4 books left to give away!